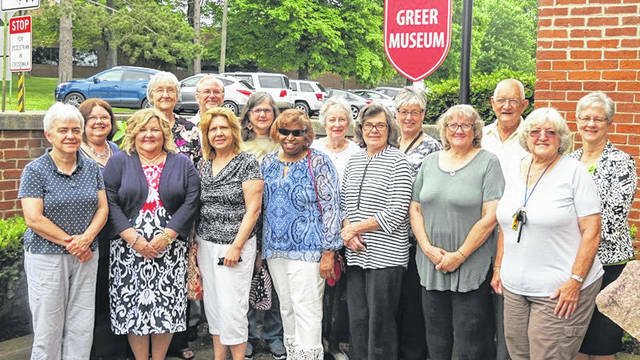 Artists and guests who attended from Gallia County included, front row, left to right, Nicolyn Smith, Gail Belville, Tracy Miller, Nellie Ruby Taylor, Rita Haley, Cheryl Enyart and Peggy McCoy. Back row, left to right, Diana Randolph, Pat Parsons, David Hayes, Pam Conley, Sally Roberts, AAA7 Assistant Director Nina Keller, Charles Murray, and Ohio Department of Aging Interim Director Beverly Laubert. 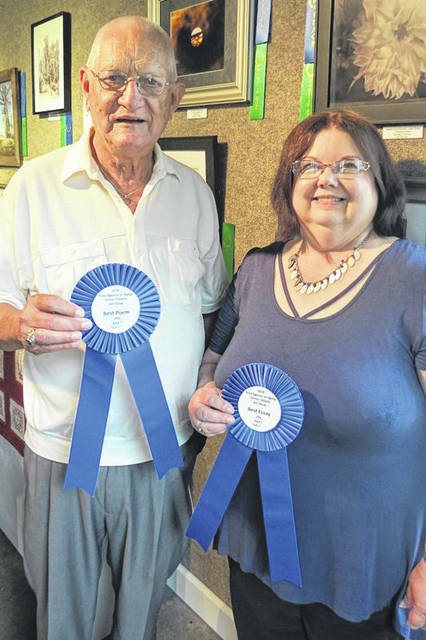 Artists and guests who attended representing areas outside of the AAA7’s 10-county district are pictured. 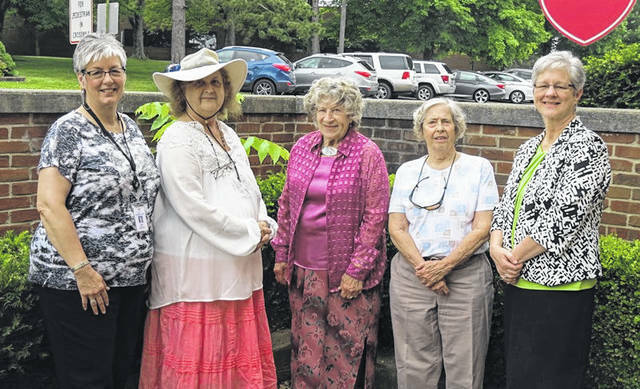 Left to right, AAA7 Assistant Director Nina Keller; Shirley Hamm of Meigs County, Ohio; Isle Burris of Mason County, W.Va.; Polly Lyons of Fairfield County, Ohio; and Ohio Department of Aging Interim Director Beverly Laubert. 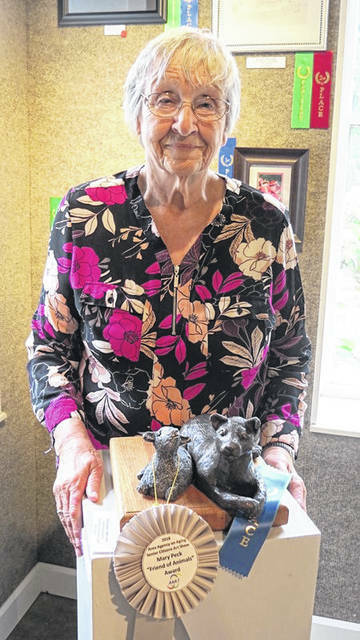 RIO GRANDE — The artwork of local seniors was recently showcased at the Area Agency on Aging District 7’s (AAA7) 36th Annual Senior Citizens Art Show and Essay/Poetry Contest that was held at the Esther Allen Greer Museum, located on the campus of the University of Rio Grande in Rio Grande. To learn more about next year’s Art Show, which is typically held in May/June of each year, please call 1-800-582-7277 or e-mail info@aaa7.org.